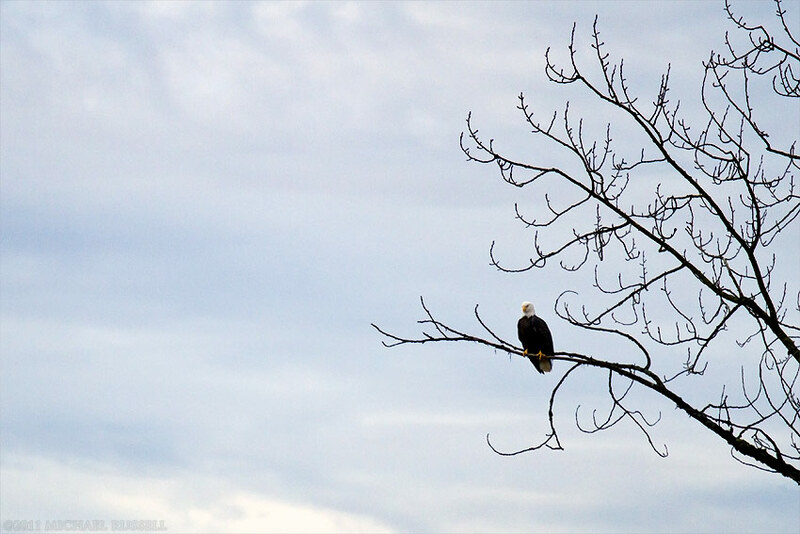 On Friday I drove out to the area searching for Bald Eagles to photograph. 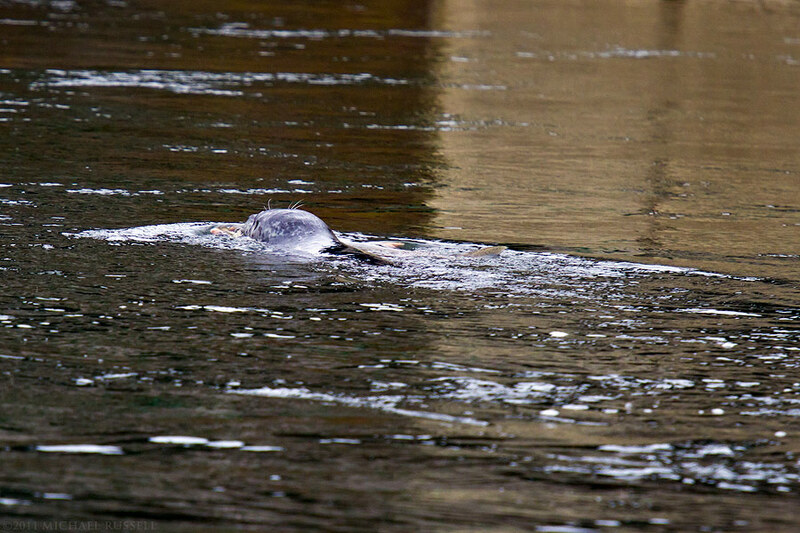 The Lower Stave River still has a lot of Salmon carcasses (and still some live Salmon) for the Eagles to feed on. 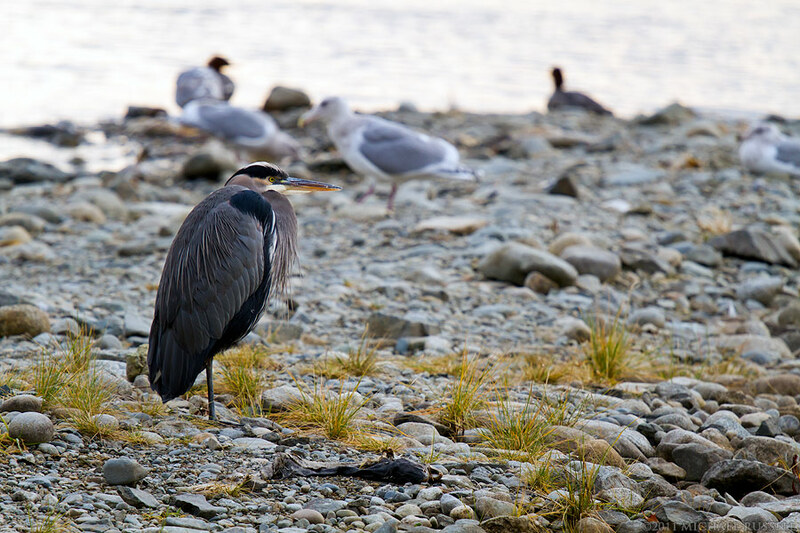 There are also a ton of Seagulls, Great Blue Herons, and Ducks of all sorts. I still have not managed to get a “good” Eagle photo – but I am still working on it. 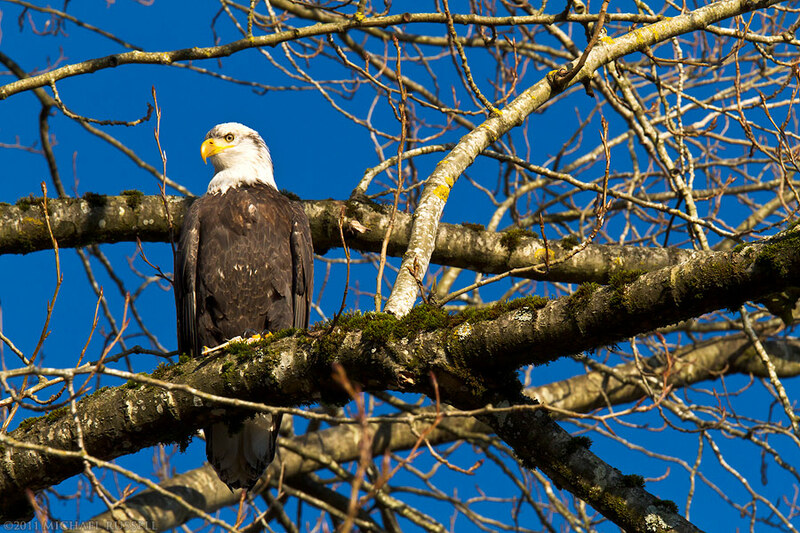 There are a ton of Bald Eagles out in the Fraser Valley right now, so I will keep going out there for a while trying to get some of the shots that I have in my head (or totally different ones). Neither photo here is a Bald Eagle of course. So often I head out seeking a particular subject or photo, only to come home with completely different subjects. This is great, because even if I am not able to photograph the subject I am looking for – coming home with good photos of something else is nice. I think one of the many things I like about photography is you are just never quite sure what you are going to get. 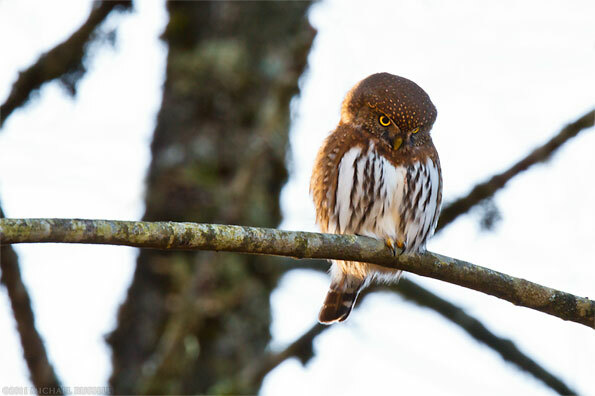 I had never seen a Northern Pygmy-Owl (Glaucidium gnoma) before but immediately recognized it. 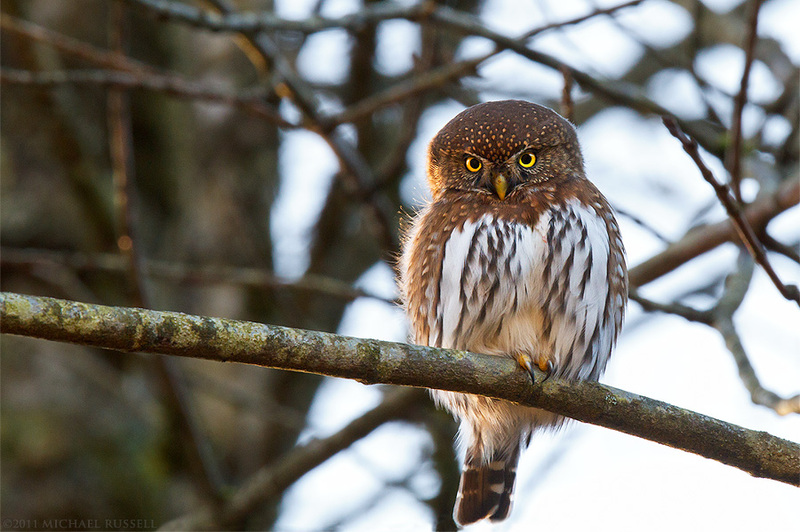 A very small Owl species, this guy was probably only 17cm (7 inches) high. Much much smaller in size than the other Owl I photographed recently, a Barred Owl. I really enjoy the glare it is giving, though I have no idea what it was looking at. I made several photos of this owl and I think the first one here is my favourite just because of the facial expression – it looks like it is about to kill something. More apparently in a larger version is the small smear of blood on its chest feathers, indicating this is not necessarily an idle threat. This was also one of my first set of photos using my new Canon 1.4x EF Extender II on my EF 70-200mm f/4L IS. This was handheld and I am quite happy with the early results from the combination of these two.